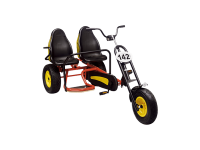 Multi-seater pedal bikes with a higher emphasis on convenience. The entire family can move around together. 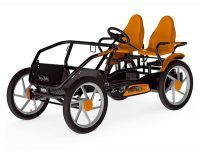 Ideal for traveling across parks, campuses and other large areas. Very sturdy with excellent build quality, they require minimum very little maintenance and can withstand long periods of rough use.